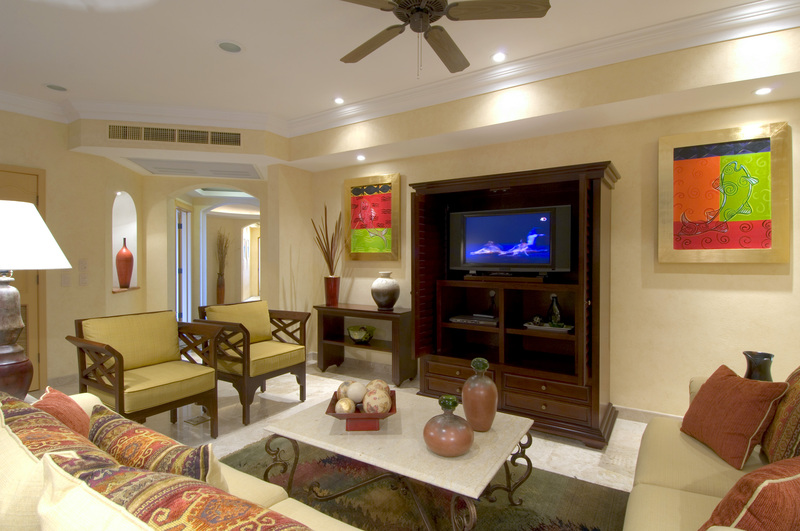 You are going to love the feel of home you get once you enter the hacienda-style gate that goes up to the front door. Once you enter the door (made of beautifully crafted maple wood), you are greeted with an extravagant living room, a spacious dining room and a spacious entertainment section. Other luxuries include satellite TV with premium channels, climate-control air-conditioning, a washer and dryer, high-speed internet, electronic keys, stocked mini bar and turn-down housekeeping service. The double-glazed windows and sliding doors that lead to the terrace or balcony of your home gives you an awe-inspiring view of the Pacific Ocean! All through the house you will find premium marble flooring and maple wood cabinets. Your en-suite bedrooms have a spacious travertine marble shower, a spacious walk-in closet, a whirlpool tub and dual vanities with marble countertops. With all these amenities, it may be hard to step out the door! 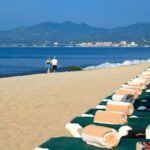 Measuring 2,212 square feet, the two-bedroom villas from Villa La Estancia Riviera Nayarit contain a master bedroom with a large en-suite spa bathroom. The other bedroom has two queen size beds. Another lovely feature of this villa is the massive balcony that makes nature watching a comfortable delight while enjoying the comfort of your home. You’re going to love the three-bedroom villa that comes with two master bedrooms and large spa bathrooms! These 2,790 square feet of luxury have top of the line bedding with cotton linens and your choice of pillow styles so you can get a good night’s rest. On the balcony, you have a top brand grill with a whirlpool spa so you can bathe in the sun all year right in your own backyard! You are going to love this 4,316 square feet of endless beauty! These penthouses are very spacious and have three large bedrooms that provide a wide area of comfort, privacy and quiet for each occupant. 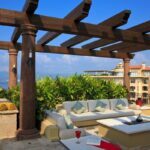 The outdoor area is the hallmark of the Villa La Estancia Riviera Nayarit’s penthouses. Your outdoor area includes a roomy terrace with a top brand grill and Jacuzzi so you can enjoy the sights and sounds of the environment.